BBC NEWS | Programmes | Politics Show | Railways - back on track? Railways - back on track? Could lines like this one be reopened? The campaign to re-open old railways is gathering pace. But putting trains back on lines closed in the 60s and 70s is only possible if the lines haven't been built on. Disused railway lines - the North's full of them. Sometimes they're used as cycle routes, sometimes they're overgrown with tangled vegetation. But here's a novel idea - how about putting trains on them again? Campaigners in North Cumbria are on a mission. They want to re-open a rail route that's been shut for over thirty years. 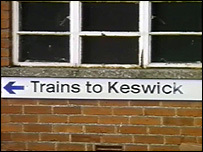 These days if you want to get from Penrith to Keswick you can either take the bus or drive. But it wasn't always that way. For over a hundred years a railway carried passengers between those two places. The 31 mile route travelled through beautiful countryside. 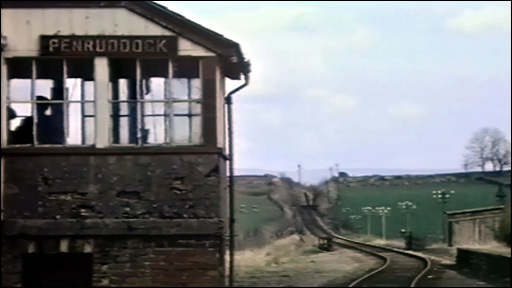 Just looking at archive footage of the railway is a nostalgic treat - station masters in peaked caps, trains passing through small communities like Threlkeld, Troutbeck and Penruddock.It all looks like part of a railway bygone age. But some local people think the railway deserves a comeback. Cedric Martindale is fighting for the return of Keswick's rail link - he reckons it would bring major economic benefits to the region and could be profitable. There's just one problem - the route of the former railway is starting to disappear. The track beds where the line used to run are increasingly being built on. Rail campaigners say bringing back the railway would cost £25m pounds at the moment, but re-routing the line around factories and houses would make the costs rocket to £250m. Supporters say when a railway closes in France the Government bans any building on the track for 50 years and they want the same policy adopted here. The Conservatives are sympathetic to the idea of greater protection for track beds. But local business leaders reckon protecting a derelict railway could stifle economic development and put off companies who might move into the area. In Northumberland too rail campaigners are hoping to go back to the future. 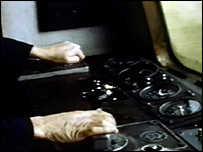 The Ashington, Blyth and Tyne line stopped carrying passengers in 1964. Forty four years on, the railway line's still kept open - for one freight train service a day. Would modern day commuters let the train take the strain? Rail Campaigners say increasing population in the area means crowded roads for commuters to Newcastle who'd take the train if only they had the chance. They're so confident the idea would work that they're running a special test service. For one day only this weekend the line will have three passenger services designed to show just how easy it would be to reopen the route. But even the organisers admit it would cost over £4m to let Ashington's commuters let the train take the strain. So would the Government stump up the money? Unlikely. Ministers say the reopening of railway lines isn't a priority over the next five years. With crowded roads and rocketing fuel prices many of us are looking for a different way to get around. So could now be the time to dust off those old railway routes? Find out on the Politics Show this Sunday on BBC 1 from twelve. The Politics Show on Sundays at 1200 BST on BBC One. Summer 2009 Spring 2009 Autumn 2008 Summer 2008 Winter 2008 Autumn 2007 Spring 2007 Autumn 2006 Car clamping Scotswood to Mal Single parents Robocop SSSIs Speed cameras Councillor's wor Mortgage madness Council recyclin Fewer councils?